Good news for passengers traveling to and from the Terminal #1 MetroLink Station at Lambert-St. Louis International Airport. The station will reopen ahead of schedule. Regular MetroLink service will resume when the station reopens to passengers at 3 p.m. tomorrow, Aug. 7. Rehabilitation work at the Lambert Airport Terminal #1 MetroLink Station had been slated to be completed by Sunday, Aug. 9. When the station reopens, Metro passengers will be able to access MetroLink trains from the Lambert Airport Terminal #1 MetroLink Station, and will no longer need to use the airport’s free shuttles to travel between Terminal 1 and Terminal 2. This is the first major rehabilitation of that station at Lambert-St. Louis International Airport since it originally opened in 1994. Crews repainted the station, repaired concrete, added safety tactile strips to the platform edge, and installed new lights and an upgraded electrical system. Lambert-St. Louis International Airport managed the project contractor and funded the rehabilitation of the Terminal #1 MetroLink Station. 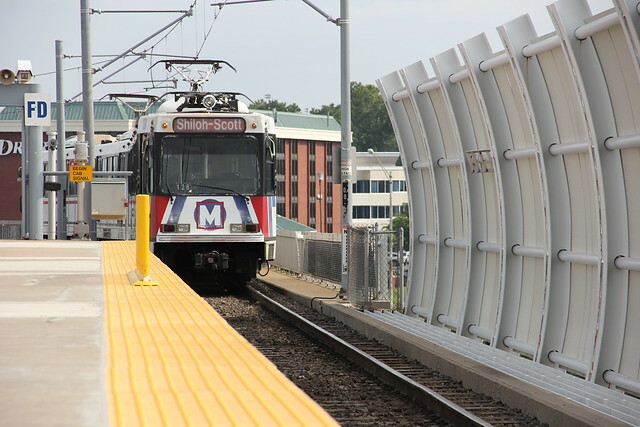 Both MetroLink Stations located at the airport are owned by Lambert-St. Louis International Airport.